The Minnetonka Track & Field and Cross Country Association (MTCFFA) was originally formed in 2004 in order to raise money to build a new track for the high school. After an incredible effort, over $160,000 was raised and the track was completed with our trademark Minnetonka blue running surface. Our facility has been compared to that of many elite colleges. Currently, the association supports both the cross country and the track & field programs of the high school but has broadened its charter to include the entire Minnetonka school district and local community. MTFCCA board meeting to elect member and review financial information will be held July 17, 2018 at the Minnetonka High School. Anyone interested in joining the MTFCCA board or learing more about the Association is invited to attend the meeting. 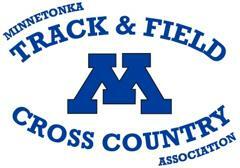 The purpose of the Minnetonka Track & Field and Cross Country Association (MTFCCA) is to partner with the Minnetonka School District and Minnetonka Community Education to promote all running sports and activities throughout the district and greater Minnetonka community. We accomplish our mission by promoting our Boys and Girls Track and Field and Cross Country programs in a variety of ways, and we raise funds for these programs throughout the year. The annual Thanksgiving Day Tonka Turkey Trot 5K is our marquee fundraising event. We believe that the proven lifelong benefits of running sports and activities form a vital aspect of physical and mental health and wellness for community members of all ages and abilities. Paid $20,000 for a new pole vault pit. Pay for the rental of facility for annual banquet.